Graveside service with interment of the body or inurnment of the cremated remains. Another option is a memorial Mass or Service with no remains present. Note: The funeral liturgy outside the Liturgy of the Mass is ordinarily celebrated in the parish church, but may also be celebrated in a funeral home, parlor, chapel of rest or cemetery chapel. Recitation of the Rosary alone – usually five decades of the rosary (suitable when most of the congregation are Catholic). The vigil service may be held at the funeral home, the church or at a private home. Vigils may be led by a priest or deacon. At the end of the vigil service or rosary (or the funeral reception) is the best time and place to proffer reflections or eulogies, as well as play secular music and offer readings, such as poems. Introductory Rites: This includes prayers and an introduction from the priest or deacon. Scripture Readings: These commonly include a reading from sacred scripture from the Old or New Testament, followed by a Gospel passage. A homily may follow the readings. Recitation of the Rosary: If/as appropriate. Concluding Prayers: Prayers conclude the vigil service from the priest or deacon. Funeral Mass with body or cremated remains present: The funeral Mass is held at the parish church. At the entrance to the worship space of the church, the body (in a casket or urn) is sprinkled with holy water. 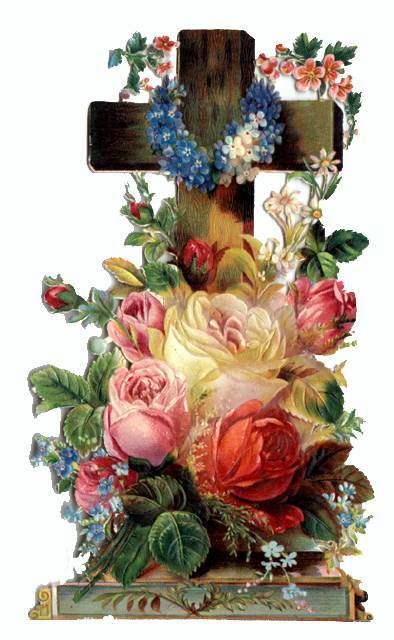 A white pall is placed over the casket and a religious article (most often a crucifix) is placed on top of the pall. These are reminders (signs and symbols) of our Christian baptism and our faith in the promise of eternal life in Christ Jesus. This is followed by a procession into the church’s worship space. In the case of cremation, the urn of cremated remains should be carried in procession also. The casket or urn is then positioned or placed before the pascal candle (also used for baptisms and Easter liturgies), just outside the sanctuary space. For military veterans, the flag will be removed from the casket top before entering the worship space and may be placed on it again upon departing the worship space, before movement in the hearse and then to the cemetery for the prescribed graveside service. Memorial Mass (no remains present): The memorial Mass is held in a parish church; just like a funeral Mass, but no remains are present. Memorial Service (no Mass, a Service of the Word): This service may be held for a deceased Catholic, in varied situations, such as when their immediate family is not Catholic. A priest or deacon can lead the memorial service following the Order of Christian Funerals (Funeral Liturgy Outside of Mass). (as a sign/remembrance of our baptism (gown)). The formal procession into the worship space follows. The body is incensed and a Song of Farewell is generally sung. * Appropriate hymns and solos may be utilized at these points. Read the first reading and second scriptural readings. (It is helpful if the readers are familiar with the Mass and have read during Mass before). Copies of the authorized readings will be made available to them in advance of the scheduled liturgy. Bring forward the gifts of bread and wine. Individual tributes or eulogies are reserved for the vigil or rosary service (normally, the afternoon or evening before the day of the Funeral Mass) or for a reception following the funeral liturgy. The homily at Mass is when the priest or deacon preaches on the scriptural readings the family has chosen and make specific references to the deceased and the gathered assembly. Displays and photographs: We welcome displays of photographs and memorabilia at the entrance to the church. A single framed portrait may be displayed on an easel near the altar. Financial considerations: It is customary to give the funeral music instrumentalist, the cantor, and priest and/or deacon a stipend. Donations to the Church and stipends may be paid through the funeral home or directly by a family member. Please speak with the Funeral Director or the parish’s pastor, if you have any questions. Flowers: We welcome flowers and wreaths as part of the funeral celebration. We ask that the family discuss with priest or deacon any flower arrangement(s) to be left behind for the church to use at the weekend Masses before leaving the church for the day. Music is an important and integral part of the Catholic funeral ritual, and we encourage families to make full use of the Church’s rich tradition and the parish’s musical resources. Music before and after the Mass: Music for all liturgies is under the direction of the parish music director or coordinator. Hymns, Psalms and Spiritual Songs: Concerning liturgies within the Church, it is good to allow everyone present to participate fully in the singing. The hymns, psalms and spiritual songs that are chosen naturally need to be familiar to a good number of the people gathered as the assembly, so that the singing is strong. Our song books contain many fine selections from which you may wish to choose. We discourage material not included in our song books—since the assembly may not be able to fully participate. Funeral music selections must be coordinated and finalized between the parish’s music director or coordinator and a single representative of the immediate family before the scheduled liturgy. Soloists and Choirs: Many people like to have a solo, such as Schubert’s Ave Maria sung. We recommend that one of our trained cantors lead the singing of the Psalm and the Eucharistic music, and sing any solo piece that you may choose. Suggested donations for a cantor and pianist are $125 each, but any donation is acceptable. These fees may be paid through the funeral home or by a family member directly to the musicians before the start of the liturgy. Recorded Music: We recognize the importance of certain recorded songs or songs that were especially liked by the dearly departed. Recorded music may be utilized at an after funeral reception, but not during the Liturgy of the Mass. Bag Pipes: Bag pipes are sometimes culturally important. As they are instruments designed to be played outdoors, we welcome their use outside the entrance doors of the church before or after a service (to lead a procession in or out of the church) and/or at the graveside (after the graveside service has been concluded). We do not permit bag pipes to be played during any liturgy (the Vigil, Rosary, Mass or Service of the Word) within the church. Funeral receptions may be provided for families and friends of deceased parishioners; as an opportunity to socialize and celebrate the life of a loved one. The parish’s Funeral Luncheon Committee and parishioners supply pot-luck dishes and desserts, and parish volunteers help to set-up, prepare, serve, and clean-up after the meal. A free-will donation to assist in off-setting parish related reception expenses is always welcome and appreciated. For more information and/or to plan for a funeral reception, please contact the parish office, as far in advance as possible, before the scheduled funeral liturgy.